The time it takes to start seeing results will vary according to a few factors. These include the competitiveness of the locality you’re based in, the competitiveness of your industry, how authoritative your website is and whether you’ve had someone else carry out any similar work for you in the past. If this is the case, there may be certain issues which need to be rectified such as your Name Address and Phone number (NAP) inconsistencies. If you would like us to work on ranking your business in Google Maps, you will need to first order a citation audit which will provide a report of any NAP inconsistencies. It’s vital that your NAP details are correct and consistent across all the business directories. 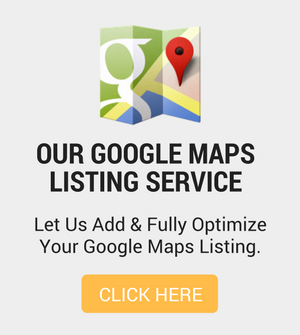 You can then go ahead and order our Google Maps ranking service which includes a full citation clean up. If we happen to uncover the fact that previous work has been carried out on your business for Google Maps that is inconsistent, then you will probably need our help to tidy everything up. We cannot guarantee exact results and anyone who does, should be treated with caution. Having said that, our results speak for themselves and we’ve ranked many happy customers into the 3-pack. Google are always updating their algorithms and making it more and more difficult to rank every year. BUT, you can rest assured that we keep up to date with the very latest, cutting-edge techniques. We’ve had great success and achieved numerous page one rankings for both organic search results and Google Maps. Am I tied in for any length of time? If you are using our organic SEO service, you will be paying on a monthly basis as this will require ongoing work. You are not tied into any fixed number of months. You can cancel at any time, provided we are given 30 days notice. 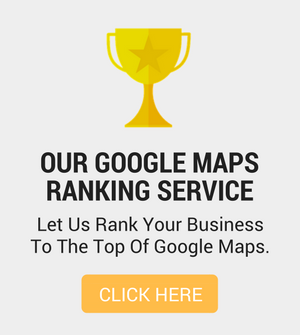 If you are using our Google Maps ranking service, then you will need to pay the full amount. The options are a one-time payment or 3 monthly installments. You also have the option to continue with a lower monthly maintenance fee for us to continue to monitor and work on your Google Maps ranking to help your business continue it’s high ranking status. There are no cancellation fees whatsoever. If you do want to cancel, you must give us 30 days notice. Once work has started on your business we cannot offer any refunds. Do you keep me updated with the progress? Yes, we do keep you updated on a monthly basis where we will provide a ranking report for Google Maps and a traffic report if we are working on organic search for your website. It should be noted that your Google Maps ranking will also vary depending on where someone is searching from. So if someone is searching for your type of business and they’re in the vicinity to your business location, then you will rank higher than another business that is located at the other end of the city. Does Google Maps work for any type of business? Google Maps is only really relevant to bricks and mortar businesses which have a physical location. It doesn’t matter if your place of business is an office block or a shop that receives customers at the address. Does it matter where I’m based? It doesn’t matter where you’re based. The only thing you should bear in mind is that if you’re based in a very populous city with plenty of other similar businesses, then you’re in a high competition area, so you should allow a longer time to get good results when compared to someone who is located in a far less competitive location. If you would like us to work on ranking your business in Google Maps, then click here for further information. If you would like us to work on ranking your website, then please contact us here to discuss your requirements.